The Best Utah Blogs from thousands of Utah blogs in our index using search and social metrics. We’ve carefully selected these websites because they are actively working to educate, inspire, and empower their readers with frequent updates and high-quality information. Also check out Utah Youtube Channels. Utah newsletter is a comprehensive summary of the day's most important blog posts and news articles from the best Utah websites on the web, and delivered to your email inbox each morning. To subscribe, simply provide us with your email address. Salt Lake City, Utah About Blog Salt Lake City's Weekly Newspaper. Covering Salt Lake City and Utah news, politics, music, film, television and arts; movie times, club calendars, restaurant listings and blogs. Facebook fans 49,259. Twitter followers 66,318. Salt Lake City, Utah About Blog Utah Stories is dedicated to the power of individual. Utah Stories Magazine and UtahStories.com works to represent "the voice of local Utah". We produce journalism and stories about local business owners, artists, designers, developers and residents. Facebook fans 3,580. Twitter followers 3,918. Salt Lake City, Utah About Blog Experience the beautiful landscape and historic buildings of Salt Lake City's Temple Square - one of Utah's top tourist attractions. Read about Salt Lake City events, historical facts & Utah travel tips. Facebook fans 177,625. Twitter followers 4,312. Facebook fans 106,005. Twitter followers 12,548. San Francisco, CA About Blog A subreddit for Utahns. Facebook fans 1,186,754. Twitter followers 555,065. San Francisco, CA About Blog A subreddit for Salt Lake City, UT and the surrounding valley. Facebook fans 1,186,755. Twitter followers 555,065. Salt Lake City, Utah About Blog Utah's independent news source since 1871, The Salt Lake Tribune covers news, entertainment, sports and faith for Salt Lake City and the state of Utah. Facebook fans 83,314. Twitter followers 153,113. Salt Lake City, Utah About Blog The Salt Lake Chamber is committed to providing timely business news, policy updates, membership highlights and interesting stories. Keep up-to-date with latest articles from our blog. Facebook fans 4,208. Twitter followers 12,588. Salt Lake City, UT About Blog Millcreek Gardens of Salt Lake City, Utah is Utah's best garden center and nursery for roses, trees, shrubs, perennials, herbs and vegetables. Lehi, UT About Blog Inspire Healthy Change through Portion Control and Balanced Meals. The top resource for nutrition educators! Products, curriculum, supplies, and more. Facebook fans 387. Twitter followers 11. Utah About Blog Utah Foster Care is your starting point for fostering or adopting thru foster care in Utah. We serve Utah's children by finding, educating, and nurturing families to meet the needs of children in foster care. Facebook fans 11,977. Twitter followers 947. Utah About Blog Addiction articles focusing on drugs, alcohol, heroin, opioids, mental health issues & sobriety by Salt Lake City based rehab facility Recovery Ways. Facebook fans 6,437. Twitter followers 1,712. Salt Lake City, Utah About Blog Better Utah works to improve the lives of all Utahns by ensuring balance, transparency, and accountability in Utah politics, policy, and government. Facebook fans 6,905. Twitter followers 4,445. Ogden, Utah About Blog Your source for all things Ogden! Indie Ogden shares all the best local events and happenings, spotlights on local businesses, cool locals of interest, reviews and so much more. If you thought you knew Ogden, think again and check out Indie Ogden to see what you've been missing. Facebook fans 10,933. Twitter followers 4,801. Utah, USA About Blog I'm Karli and he is Kyle! I love fashion. I teach kindergarten. Everyday Ellis is a modest fashion blog based in Salt Lake City, UT. Here you'll find modest outfit inspirations, newlywed adventures, and details on our crazy love story. Facebook fans 474. Twitter followers 463. Utah, USA About Blog I'm Tanya Corinne, a 20-something year old, born and raised in California and now living in Utah with my husband and our 2 fur babies. My blog was created as a way to document the things I love and has become a creative outlet where I share my personal style through outfits, travel, beauty, and much more! Facebook fans 57. Twitter followers 168. Utah, USA About Blog A premiere Utah home and style blog, with a touch of real estate. Powered by Coldwell Banker Residential Brokerage. Facebook fans 2,291. Twitter followers 232. SLC, UT About Blog SLCeats is a food blog about dining in Salt Lake City, Utah. Ryan Kendrick's words and photos. Facebook fans 253. Twitter followers 1,444. Utah About Blog Momstrong is a community of strong women like yourself. As women, we are all mothers, no matter our circumstance. We have the ability and gifts to influence those around us in a positive way. Here, you'll find access to training packages, at-home workouts, delicious and nutritious recipes, group hikes for women, and tips on living a holistic and healthy lifestyle. Salt Lake City About Blog StepUp is Utah's go-to source for expert college info and guidance including preparing and paying for college, searching and applying for scholarships, earning college credit in high school, and more. StepUp helps you discover the route that's right for you, whether that means a one, two, or four-year degree. You'll find grade-by-grade checklists, advice on taking the right classes in high school, experiences from fellow Utah students, tips about researching college costs, and more. Facebook fans 3,176. Twitter followers 6,094. Salt Lake City, UT About Blog We promote the growth and development of Utah's technology community in every way possible. Helping to Grow and Protect your company since 1991 through networking, advocacy, securing funding, addressing talent shortages and C-level educational events. Facebook fans 1,583. Twitter followers 3,408. 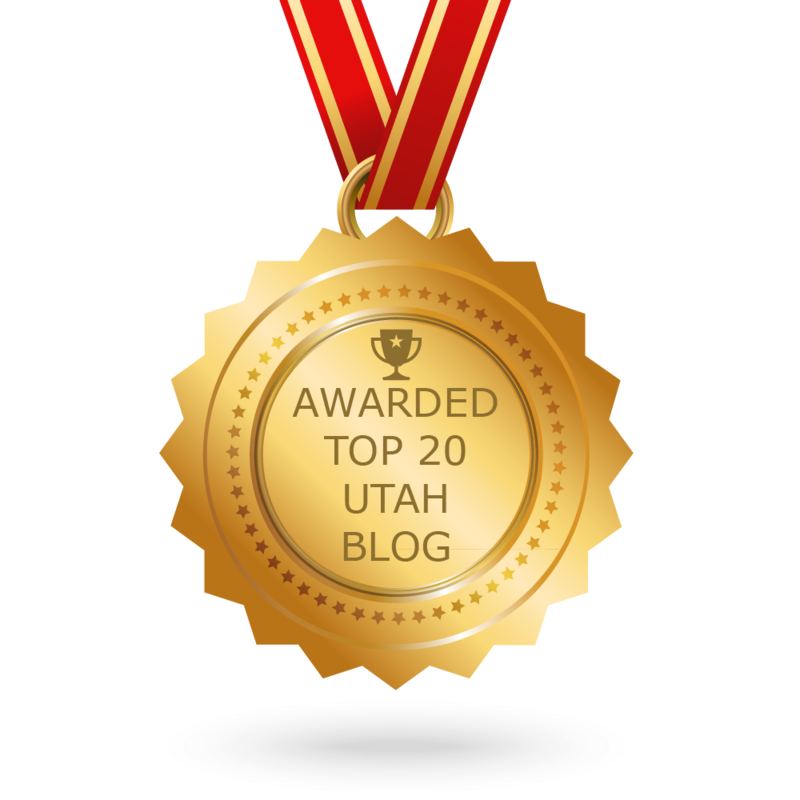 CONGRATULATIONS to every blogger that has made this Top Utah Blogs list! This is the most comprehensive list of best Utah blogs on the internet and I’m honoured to have you as part of this! I personally give you a high-five and want to thank you for your contribution to this world.